Summary: Car accidents are a common occurrence across the United States. While many injuries can be caused by improper seatbelt use, there have been many cases where people have suffered an injury because of seatbelt use. Car accidents are a common occurrence across the United States. While many injuries can be caused by improper seatbelt use, there have been many cases where people have suffered an injury because of seatbelt use. In a high impact accident, the chest can hit a locked seatbelt with force causing an injury. Chest injuries caused this way can be serious and even life threatening if not treated in time. Chest injuries can also be caused by a malfunctioning seatbelt in which case you may file a third party claim against the manufacturer. In this post, we will discuss the various types of chest injuries that can result from this kind of car accident, and your legal options as a car accident victim. While injuries to the chest wall can occur when the chest hits the locked seatbelt with force, the other types of internal injuries are usually caused because of a malfunctioning seatbelt. When the seatbelt fails in event of a crash, it can lead to extremely serious injuries within the chest cavity damaging blood vessels and internal organs. · pain that worsens when lying down. If you experience a chest injury it is extremely important to seek immediate medical attention and provide the attending doctor with as much information about the injury as possible. The doctor must be made aware of the type of accident, mechanism of injury, location of chest impact, speed at which the accident occurred and the symptoms that one is experiencing. Blunt trauma injuries are difficult to diagnose, but penetrating injuries can be easily diagnosed and in most cases surgery will be necessary. To diagnose blunt trauma injury the doctor may order diagnostic tests such as CT scans and chest X-Rays. Other tests that are commonly used to diagnose chest injuries include blood tests and thoracic ultrasounds. The doctor may even do an electrocardiogram to check the health of the heart. If chest injuries are not treated in time, it can lead to severe complications such as myocardial infractions, wound infections, pneumonia, and blood clots in veins or lungs. Treatment of chest injuries depend on the severity of the injury and may range from pain medication to surgery. 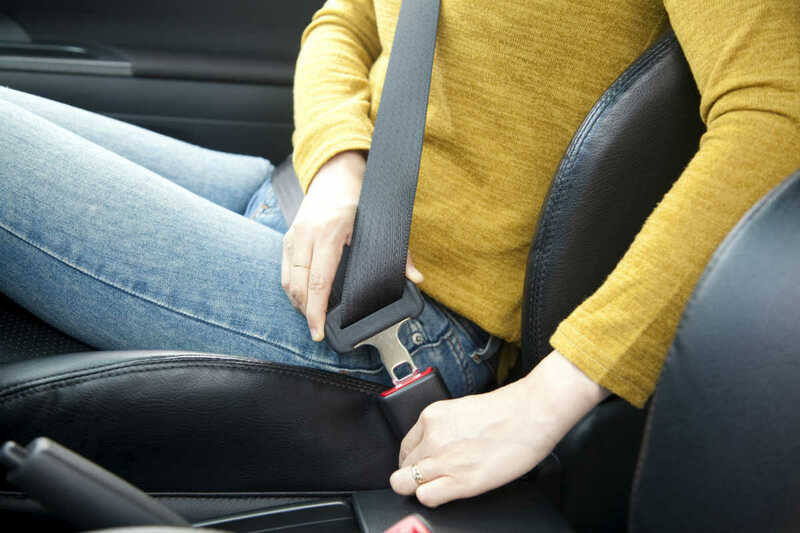 If you have suffered a chest injury because of seat belt, get in touch with a Saint Louis car accident lawyer for more information about your legal rights and whether you can make a third party claim. If the accident was caused by another driver’s negligence we can help you pursue damages from the driver at fault.